Franklin Police are seeking two suspects wanted in a violent, Wednesday morning armed hotel robbery. 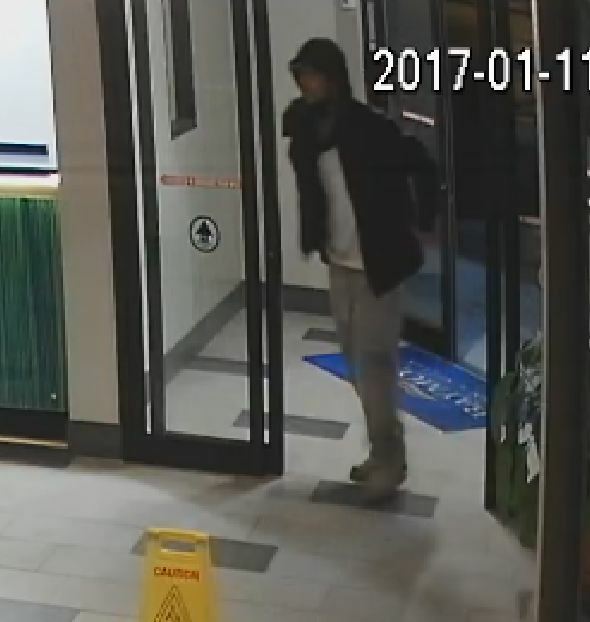 Shortly before 1:00 a.m., two males with bandanas covering their faces entered the Baymont Inn at 4206 Franklin Commons Court. The suspects, one armed with a gun and the other with a knife, approached the clerk and announced the robbery. The clerk complied with the robbers’ demands and the suspects fled after getting the money. Pay close attention to the suspect in the black jacket, who was caught on camera prior to covering his face. No one was hurt, but the search is now on for the suspects and the newer model burgundy or burnt orange Ford Expedition that they left in. In the video a blonde female, believed in her late teens to early 20s, can be seen waiting in the getaway vehicle during the robbery. 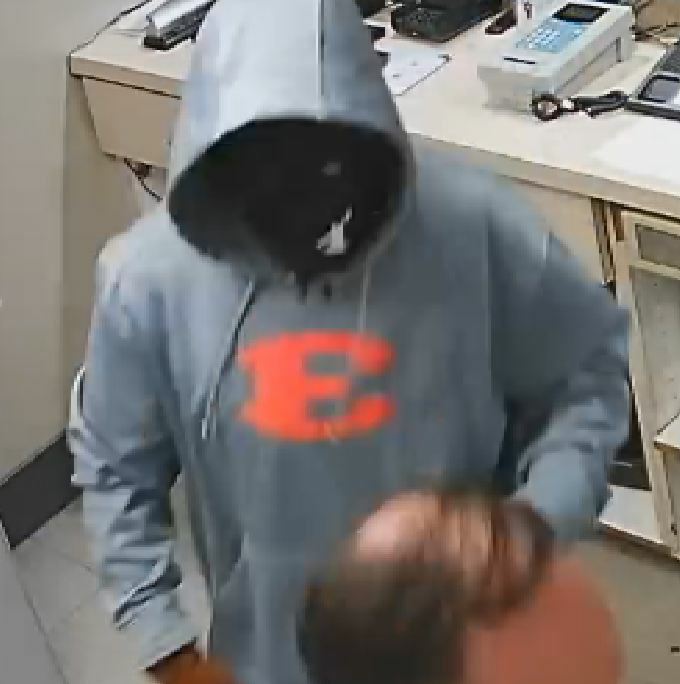 One of the male suspects was wearing a grey sweatshirt with an orange “E.” Detectives have confirmed it to be an Ensworth High School sweatshirt from about five years ago. The Franklin Police Department is offering a $5,000 reward for information in this case. If you have any information, call Franklin Police (615) 794-2513, or Crime Stoppers: (615) 794-4000.